Honey, honey….. what’s the best honey? We were having a chat about honey in our Natural New Age Mum Facebook group the other day (email me to join!) and some of you weren’t aware of what honey is best to buy and which are best to avoid. So, here I am today to share some information about honey with you! Honey is a an original ‘superfood’. It can help with gut health, colds and flu, sore throats, wound healing and more. It’s high in vitamins, minerals, enzymes and antioxidants and has natural anti-viral and anti-fungal properties. What’s the best honey to buy? Ideally, the best type of honey 100% raw, unfiltered, unpasteurised, local honey. ♥ Check that the honey you are buying is 100% honey. Unfortunately some of the honey you find in the supermarket can be mixed with plant sugars or high fructose corn syrup and even water! You are looking for 100% pure honey on the label, not just ‘pure honey’. ♥ Local honey can give relief to sufferers of seasonal allergies. Because the bees are collecting nectar from the local plants that are troubling you, ingesting the honey can work in a homeopathic way and help you build up a tolerance. Some supermarket brands supplement their honey with imported honey which does not always have the same stringent quality controls that we have. According to Choice Australia, imported honey is no longer tested for added antibiotics. Of course there are other benefits of buying local – supporting your local beekeeper and the local economy, reducing food miles and the chance to reduce packaging by taking your own containers. We want to keep Aussie beekeepers in business and not forced out of the market with cheap overseas imports. ♥ Honey that is ‘raw’ means that it hasn’t been heat-treated or pasteurised. Heating honey over 35-45º celsius (the natural temperature of a hive) compromises the beautiful assortment of vitamins, minerals, enzymes and probiotics that are naturally present in honey. ♥ Unfiltered honey means just that – it hasn’t been filtered. The filtering process can remove bee pollen from the honey. Bee pollen is a powerhouse of nutrients and something we want to keep and consume. Filtering is a different process to ‘straining’ where the large chunks of beeswax are strained out but the pollen remains. Where do you find good honey? You should be able to find raw, local honey at your local markets. You might be lucky enough to find a beekeeper selling honey directly so you can ask lots of questions about their processes. Most local health food store or green grocers sell it too. Some places may even allow you to buy your honey in bulk or to use your own jar to refill, which is a great eco-friendly option. According to Simon Mulvany from Save the Bees, the brands to avoid are: Capilano, Allowrie, Barnes, Wescobee and Macro (Woolworths house brand). If you can’t get something local and want to buy one online, Kitsa at Emporio Organico recommends this brand. Honey is one thing I don’t really worry too much about buying organic. If you think about it, it’s pretty impossible to guarantee that honey is going to be organic anyway! As bees fly several kilometres from their hive, they could be collecting nectar from anywhere. I am more concerned about making sure the beekeeper doesn’t use any toxic chemicals in their processes. An organic certification also costs a lot of money and small beekeepers may produce a mostly organic product but lack the financial resources to become certified. If you use raw honey as a sweetener in baking, it does lose it’s goodness. I still use raw honey in recipes occasionally when I want that honey flavour. That’s mostly because I still want to buy honey locally and support my local bee keeper and I don’t want to use imported or weird adulterated honey! Maple syrup is a great substitute for honey in your cakes and biscuits and tolerates heating. Manuka honey is amazing and very useful for many ailments due to it’s antibiotic properties. It is more a medicinal product rather than something you slather on your toast with gay abandon though! The price reflects this, so look at it is a healing remedy and use sparingly as needed. The higher the MGO level or UMF level, the higher the bioactivity level. 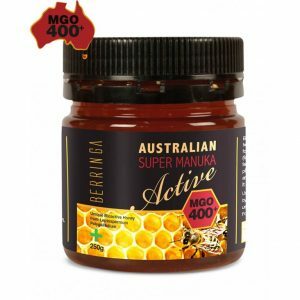 Check out Berringa Australia Super Manuka. Over time you might find that your honey will crystallise, solidify and turn opaque. This just means that the enzymes are still active and you have a good honey! Pop your jar in some warm water and it will liquefy again for ease of use. Try my home-made Honey Cough Syrup! 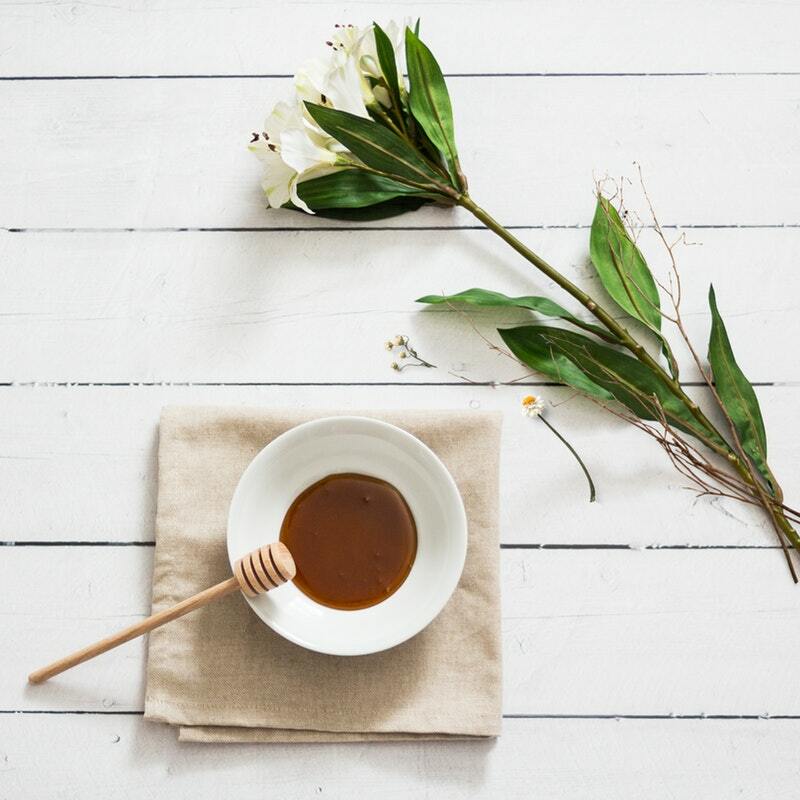 I would love to know what honey you use – give your local beekeeper a shout out in the comments. Hey Sharon! Do you mean just butter and honey whipped up together?? My daughter has allergies and raw local honey really helps her a bunch. I also purchase bee pollen from the same family I get my honey from and add that to our smoothies. I have never heard of Manuka honey…looking that up now – thank you! !